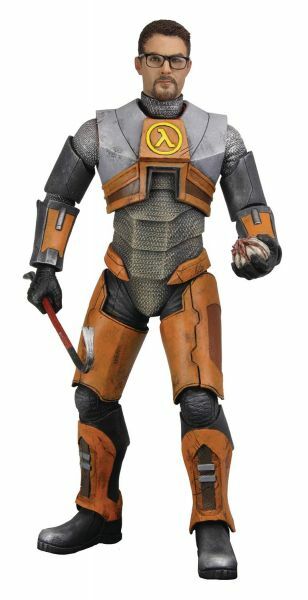 Produktinformationen "HALF LIFE 2 GORDON FREEMAN ACTIONFIGUR"
The first-ever action figure from one of Valve's most successful games of all time, Half-Life 2. Gordon Freeman is the heroic lead character and stands nearly 7" tall with over 20 points of articulation. Gordon features 2 sets of interchangeable hands, crowbar, bugbomb, and gravity gun accessories along with a headcrab figure accessory. Loads of detail, articulation and accessories, everything a Half-Life fan could want is included in this figure. Clamshell packaging. Weiterführende Links zu "HALF LIFE 2 GORDON FREEMAN ACTIONFIGUR"
Kundenbewertungen für "HALF LIFE 2 GORDON FREEMAN ACTIONFIGUR"